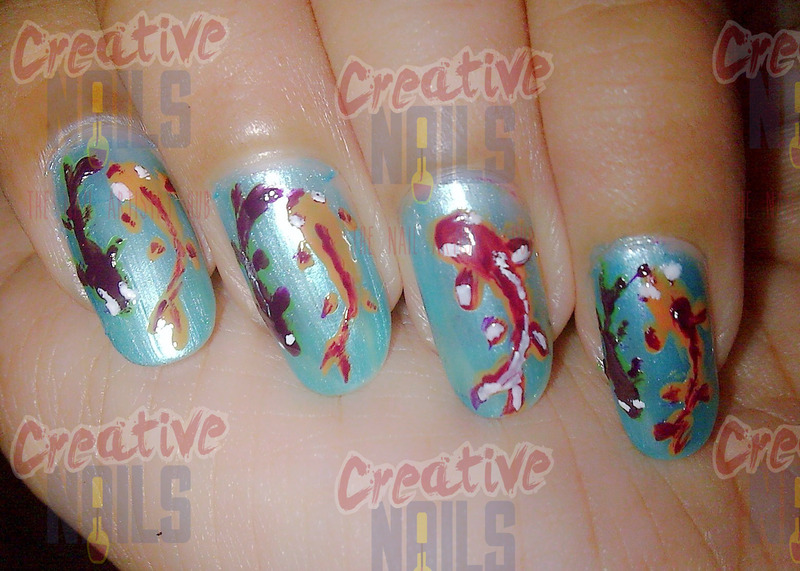 Fish on Nails Nail Art! Hi !! I am back yet again with one more interesting nail art !! I used to visit the restaurant nearby my work place, when I felt hungry in the evening,. An aquarium was kept at the entrance of the restaurant. The tank was mostly dirty. I used to feel pity on those fishes. I even asked those people to clean the tank but my requests went in vain. So I bought those fishes on my nails temporarily. If you too feel bad for such fishes give them some space on your nails as I did…!! Please do leave your comments/suggestions about the nail art. You can reach us directly at “creativenailsteam@gmail.com”.